Seriously. And the pizza looks incredible. 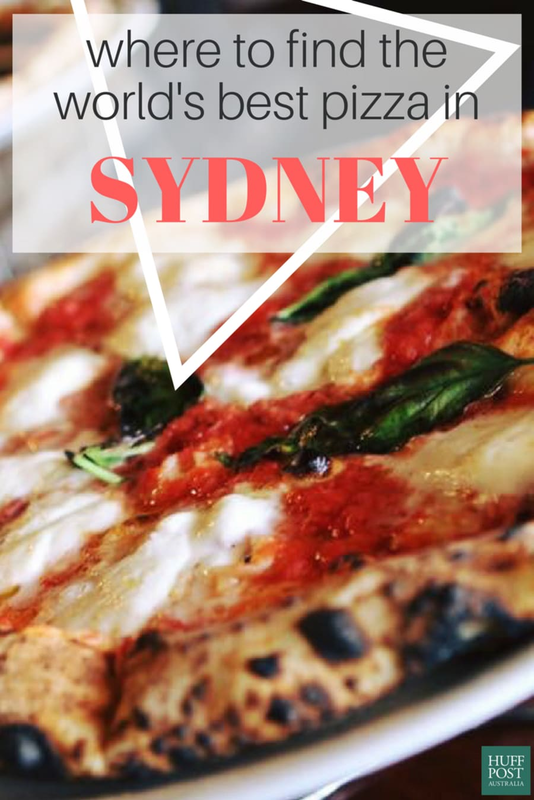 If you thought that 'the world's best pizza' and 'Sydney' don't quite fit together, you will be surprised to find out that one of the world's best pizza can be found in Sydney's north-western suburb of Macquarie Park. The pizzeria in question (which we must go to ASAP) is multi-awarded Verace Pizzeria, owned by Stefano Cirene. Le 5 Stagioni's 2016 World Pizza Championships Australia, held in Melbourne, saw Verace pizza chefs compete in five different categories. "We claimed three of the prizes," owner Stefano Cirene told The Huffington Post Australia. "Andrea Rizzollo came second place in Pizza Napoletana, the traditional pizza for the Italian region, Mario Martellino came first place with a gold medal for Pizza Napoletana, and Giuseppe Milillio also came first in Pizza Gluten Free. "Based on the point structure within the categories, the overall highest point scorer was Mario Martellino, so he won overall Grand Champion on behalf of Verace Pizzeria." If you're wondering how Verace Pizzeria makes a truly authentic, perfect pizza, it's all about sticking to tradition. It's about having the best ingredients and sticking to the strictest of rules. "I think the name sums it up -- in Italy if someone were to describe a food is 'verace', it would mean that it's traditional or authentic," Cirene said. "That's what we've aimed to do from the outset, by creating a pizzeria that is very traditional. Our flour, tomatoes, cheeses and as many ingredients as legally possible are imported from Italy. "The oven is handmade in Italy and we've brought container-loads of everything else to deck out our shop." But you can't just buy any Italian flour, tomatoes or cheese, Cirene explained. "To be associated with the Associazione Verace Pizza Napoletana (AVPN), which is the global association which certifies the traditional pizzerias around the world, of which we're one of only a few here in Sydney, there are strict rules with certain ingredients like flours, type of tomato and where the tomato is from, cheese and how it's made, and the processes to make the pizza. "It's about having the best ingredients and sticking to the strictest of rules. "One of the strictest rules for the AVPN is the 90-second rule. The pizza must not, under any circumstance, be cooked in an oven for longer than 90 seconds. Our average is around 70-75 seconds." Some other AVPN guidelines include the way the dough is made and shaped, and how the pizza is cooked. 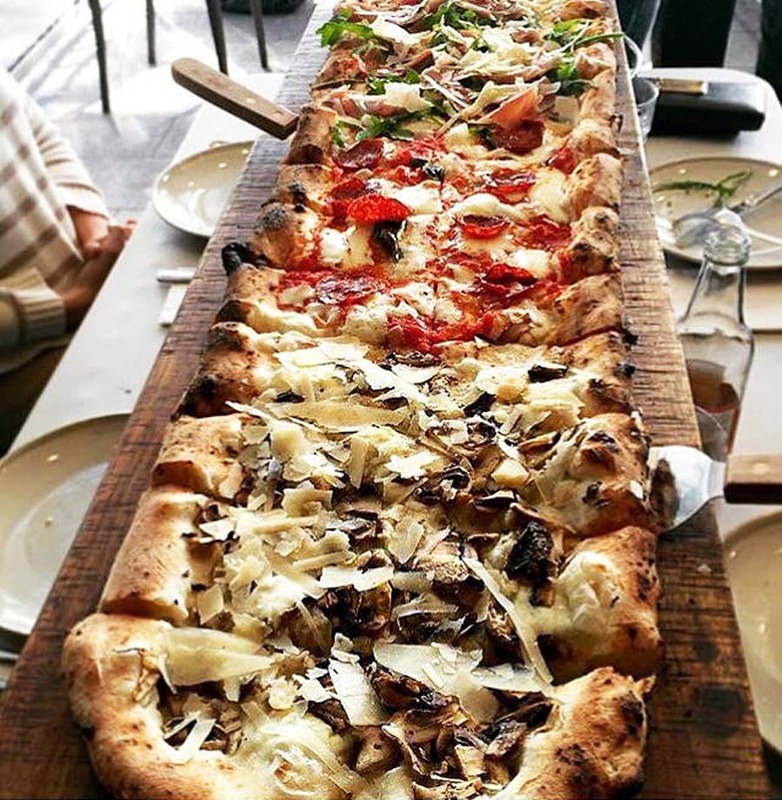 "The way the dough is made, the temperature of the oven, and the placement of the timber and the type of timber, all come back to the heart of that cooking technique," Cirene told HuffPost Australia. "Woodfired with no gas, no rolling pins, no dough machines. The dough is all stretched by hand and the cooking must be by timber only. So no cheating." The most awarded pizza at Verace is the Pizza Napoletana, which also comes with strict rules. "One of the main principles of Pizza Napoletana is that it is a very soft pizza. It is never crispy or crunchy, and when you fold the edge of the pizza, it must fold and not snap," Cirene said. "The golden rules as part of the AVPN is that the middle of the pizza is only a few millimetres in thickness -- usually 2-3 millimeters. Whereas the border would be 2-2½ centimetres in height. "The way the dough is stretched by hand, you're placing all the oxygen from the fermentation of the dough into the crust, so that the crust creates a bread-like texture and flavour, whilst the centre is designed to carry the ingredients." "It's a science and an art," Cirene said. "And obviously I can't do it without a good team. All the pizza chefs are from Italy and are trained in that art. "I'm very proud of my team and the fact that we've been able to win so many awards. I've been working in hospitality for 25 years and without a good team it's impossible to do."